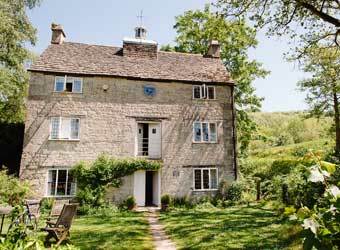 Browse below for dog friendly self catering cottages in Uley. For forty years, Nicholas and Karin Mander have managed the cluster of romantic Cotswold holiday cottages at Owlpen in the great tradition of English country house hospitality. Enjoy privacy and seclusion in private Cotswold valley. Owlpen offers nine self-catering holiday cottages including listed buildings and woodland rural retreats, from two to eight people.